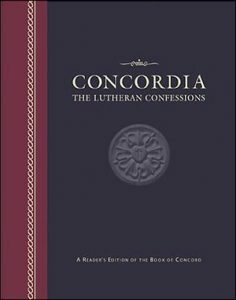 The Wisconsin Synod subscribes to the Lutheran Confessions as contained in the Book of Concord, 1580. We do so, not in so far as but because these documents are faithful outlines of Scriptural teachings. If you’d like to study the Book of Concord further, you can find it online at the following address: www.bookofconcord.org/. If you’d like a more succinct summary of what the Wisconsin Synod teaches, we suggest the booklet, “This We Believe.” Here is a link to the PDF.